In the rolling hills of central Texas, you’ll find a friendly airport with one of the best fly-in diners anywhere. 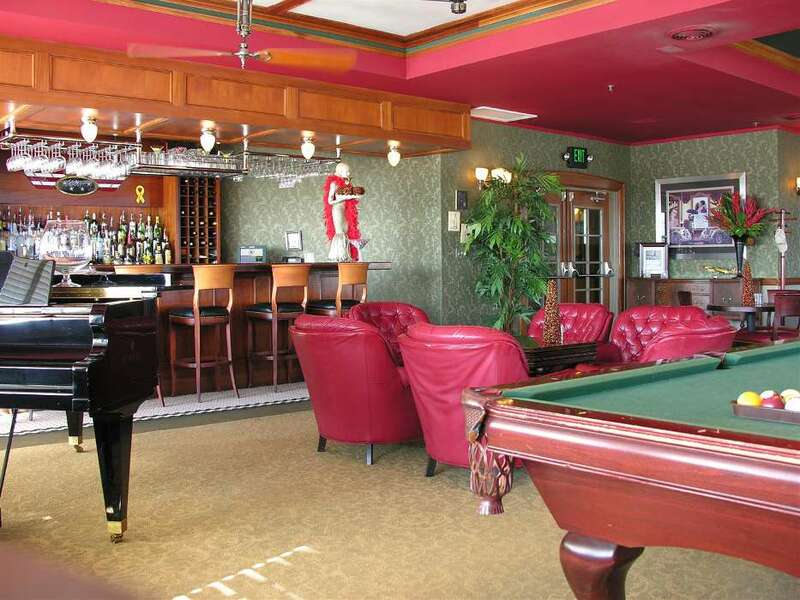 Fredericksburg TX has one of the best fly-In diners and hangar hotels for private pilots looking for a great place to relax. 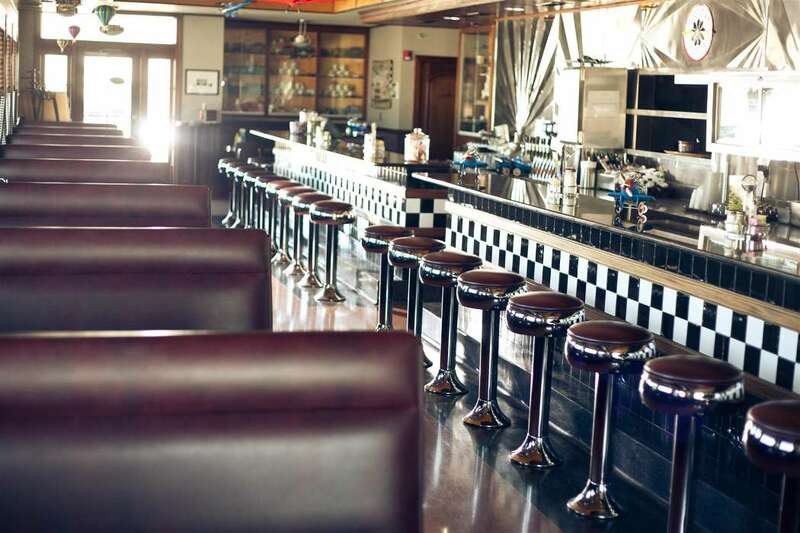 In the rolling hills of central Texas, you’ll find a friendly airport with one of the best fly-in diners anywhere. 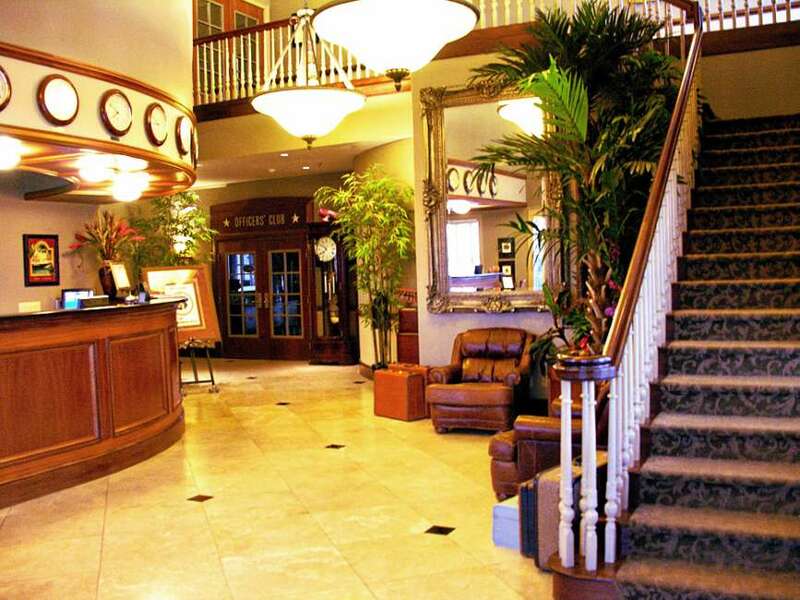 Better yet, the adjacent hotel invites you to stay a while. 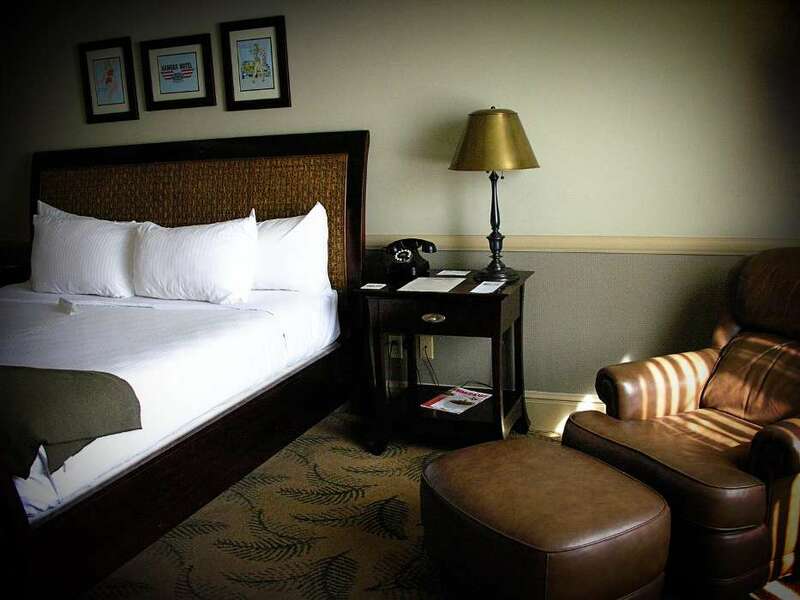 Both take you back to the 1940s, with period furnishings and accouterments. 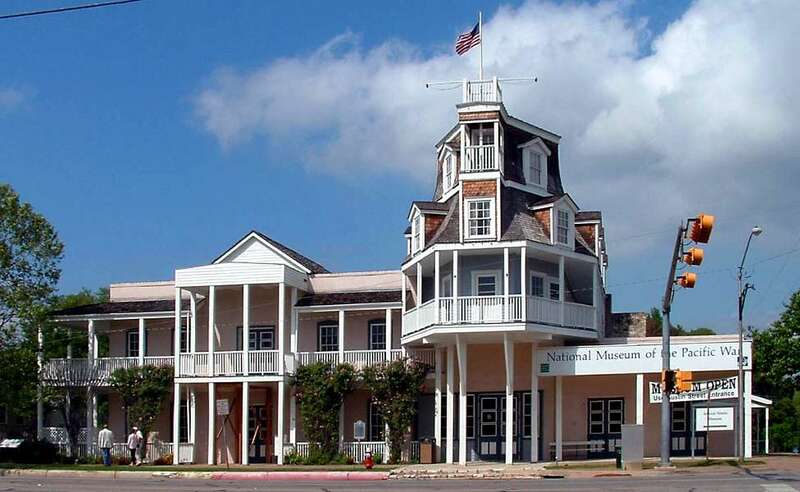 Pick up a car from the airport’s “Motor Pool” and check out the small town of Fredericksburg TX, home to the only museum to focus exclusively on the conflict in the Pacific during World War II. East of town, explore President Lyndon B. Johnson’s preserved ranch and grounds. 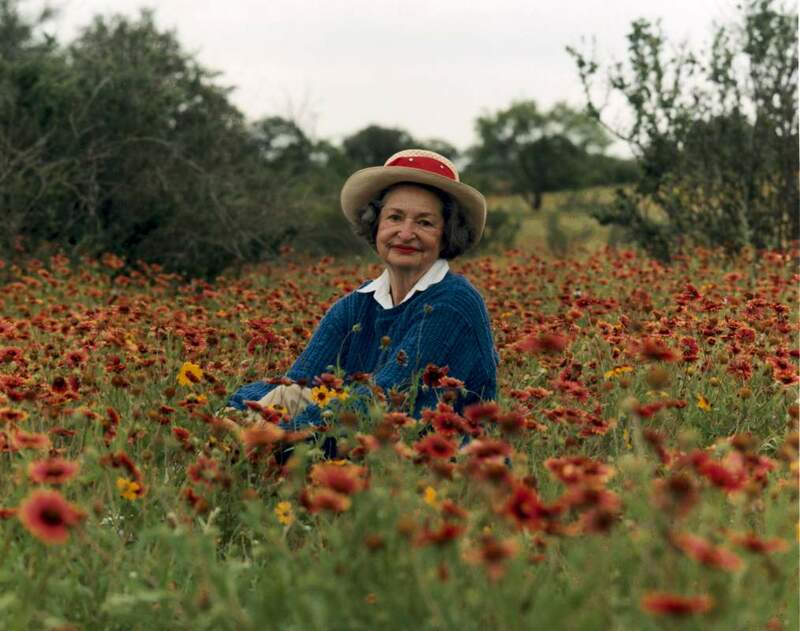 In spring and summer, the hills both on and off the ranch are ablaze with wildflowers, part of the legacy of Lady Bird Johnson. 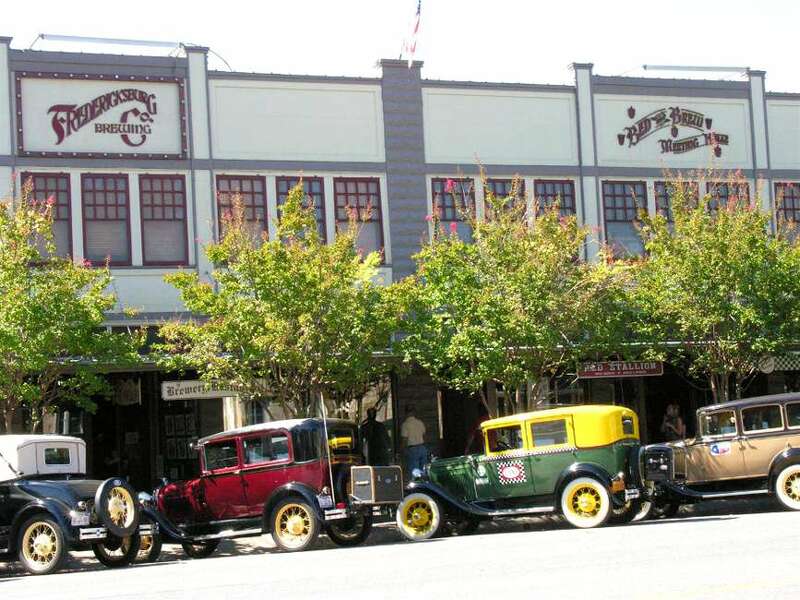 Fredericksburg itself is a tourist-friendly small town of German roots. Shop for strudel or nutcrackers, or just admire the architecture along with wide streets. 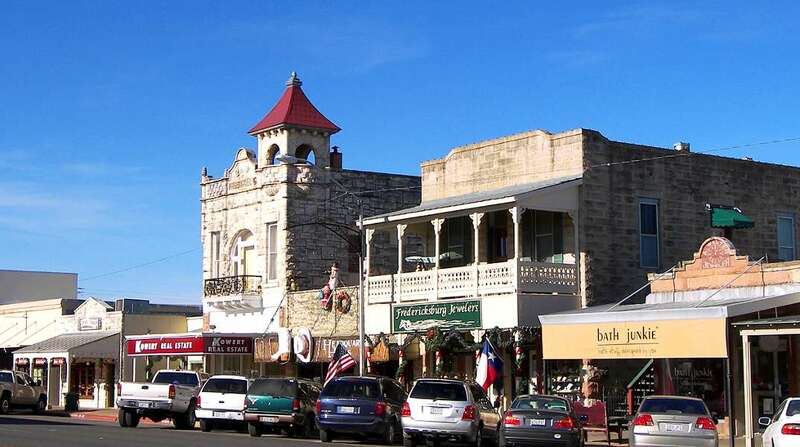 How did a German Town Spring up in Texas? After Texas gained independence from Mexico in 1836, a campaign to attract settlers was begun. German immigrant Johann Friedrich Ernst wrote a letter to a friend back home wherein he described Texas as a winterless paradise. The letter’s message made its way through many German communities and inspired an influx of settlers. In addition, the German government sent John O. Meusebach to Texas to become the commissioner of The Society for the Protection of German Immigrants in Texas. He founded Fredericksburg TX in 1846. Meusebach next signed a treaty with the Comanche tribe that allowed Germans to settle Indian Territory, provided that Indians would be able to freely enter the German settlements. Frontier justice was applied equally to whites and Indians, and this treaty is thought to be the only Texas treaty with the Indians that was never broken. Most of the immigrants opposed slavery and prohibition, and many of them refused to learn English. These stances did not always endear them to local Texans, but the Germans continued to immigrate to the area through the 1890s. Tensions arose again during the two World Wars. Despite these difficulties, Fredericksburg thrived and became known for both tourism and agriculture. Your destination is Gillespie County Airport (T82), just 3 nm southwest of the town of Fredericksburg. There aren’t any significant airspace issues on the way in, but watch for very tall antennas, especially one that rises over 1,100 feet AGL 17 nm southeast of the field. Traffic patterns at Gillespie are flown west of the due to both noise abatement and the proximity of even more towers. Once on the ground, you can park for free at the transient parking in front of the terminal, just east of the runway. You’ll find self-serve fuel nearby. The Fredericksburg FBO (Motor Pool) is at midfield, and that’s where you’ll find rental cars. Remember to reserve ahead, 830-997-3313. After you park, you’ll notice a large Quonset-hut type building east of the runway. 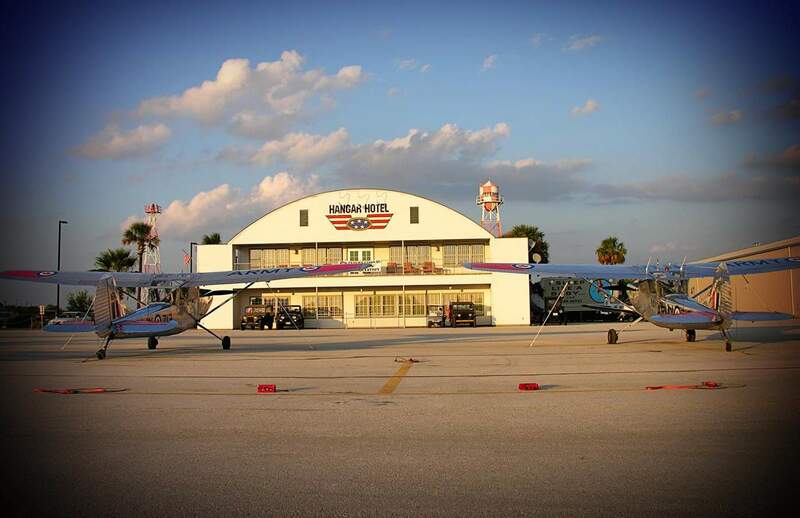 Even though it opened in 2003, when you step inside the Hangar Hotel you’ll feel like you just made a Twilight Zone-type transition into the 1940s. Are you on a World War II South Pacific military base? No, too nice for that. A sweeping, curved lobby counter is paneled in mahogany. Art deco chandeliers hang overhead. Sit down in the leather chairs and listen to the working vintage freestanding radio—you’d almost expect to hear President Roosevelt talking to you. Behind the desk are classic pigeonhole boxes for guest keys and messages. Take some time to examine the authentic 1940s telephone switchboard. A photo shows the owner’s mother-in-law at work on a similar switchboard from way back. 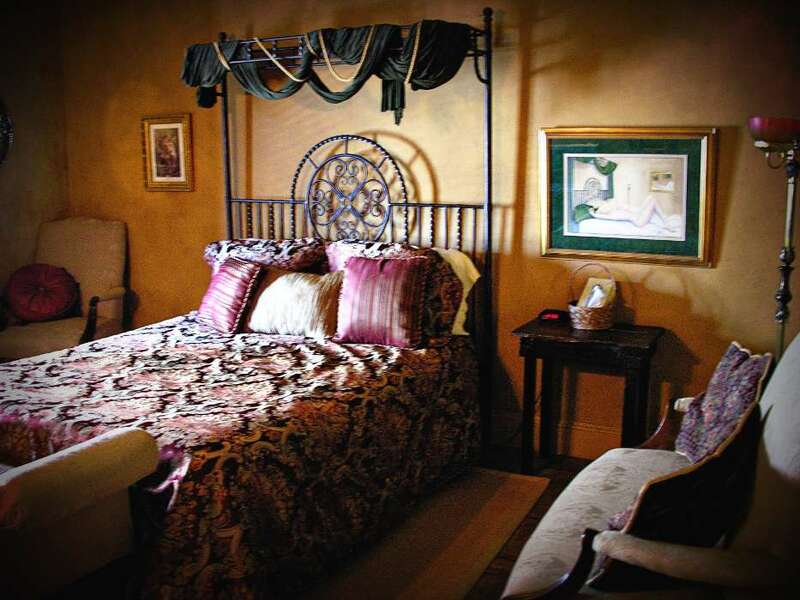 Rooms are likewise appointed with period furniture down to the classic Army blanket. Chairs are covered in bomber jacket leather. In the bathrooms, the white tile and black toilet seat are from the old days, but the granite counter top and custom lighting are modern and make it easy for ladies to make up. 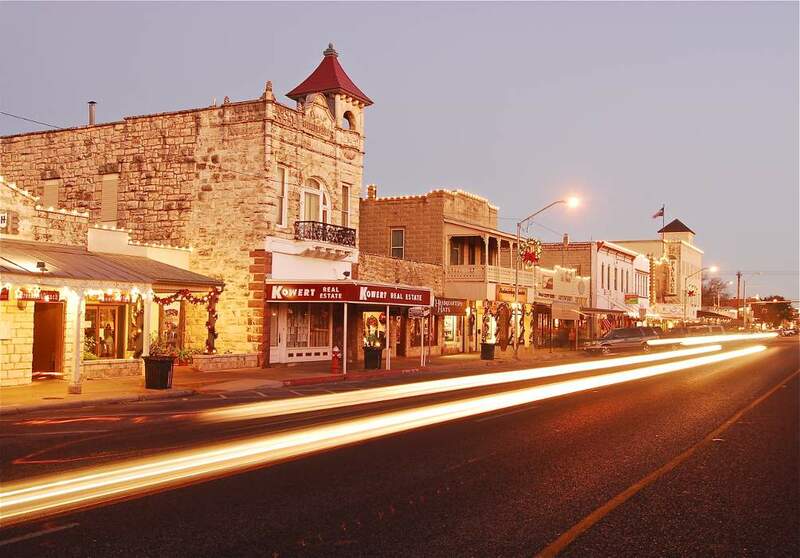 Main Street is a great place to shop for Fredericksburg’s unique mix of German kitsch, Western art, antiques, quilts, cowboy boots, or German pastries. Keep going down Main and you’ll find the Nimitz Hotel, now the National Museum of the Pacific War, the only one to focus on the sometimes-overlooked Pacific War of World War II. It also honors a Fredericksburg TX native, the war hero Admiral Chester W. Nimitz. The George Bush Gallery takes visitors on a chronological tour of the war. Next, you’ll be standing on the deck of a submarine with Radio Honolulu playing in the background and the lights of Pearl Harbor in the distance. A Japanese mini sub is nearby. Living history demonstrations on certain dates re-create battles, complete with a flame thrower, $3–$9.50, visit website for dates. Museum admission $7–$14, good for 48 hours, children 5 and under free, open daily 9 a.m.–5 p.m., 340 E. Main St., 830-997-8600, www.PacificWarMuseum.org. 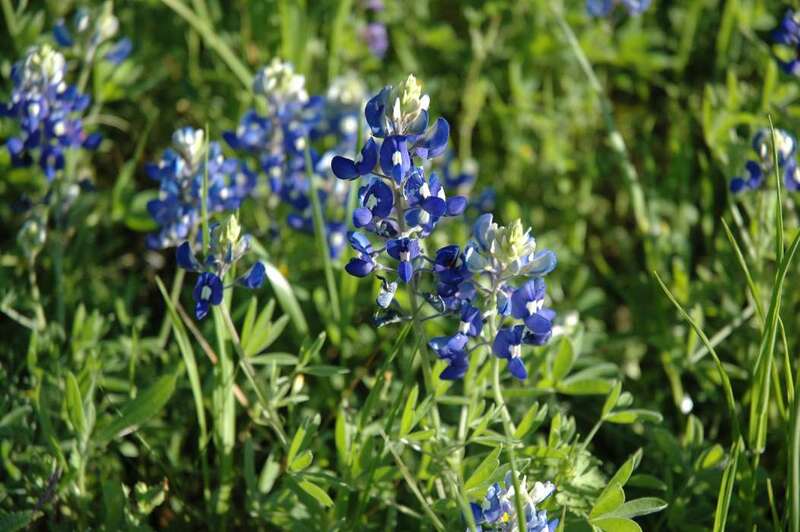 To see the Texas Hill Country ablaze with flowers, head 18 miles east of Fredericksburg to the Lyndon B. Johnson National and State Historical parks. Johnson’s “Texas White House” is here on nearly 3,000 acres of property he acquired over the years. 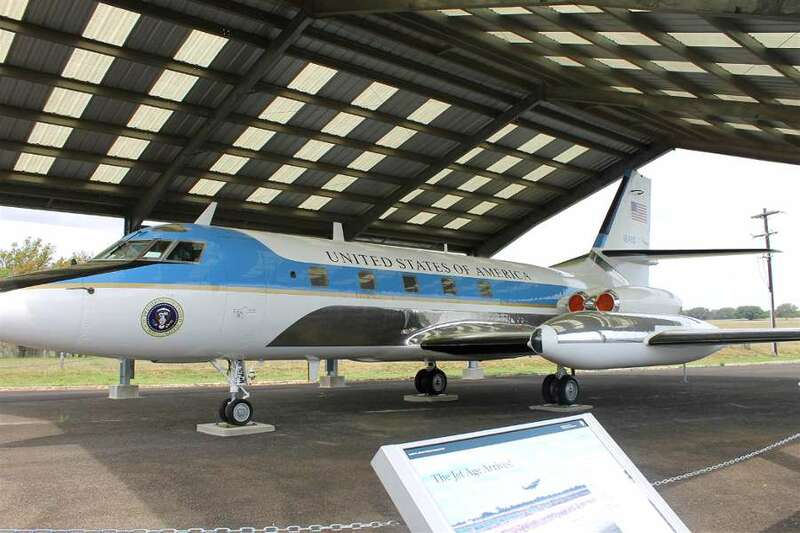 The ranch has a private 6,300-foot airstrip once used to transport the president via Lockheed C-140 Jetstars. You can take a self-guided tour, but you’ll see more on the two-hour guided tour that begins at the State Park Visitors Center. A tram takes you through the ranch with stops at his re-created birthplace and family cemetery. As of 2014, the park is home to the Official Texas State Longhorn Herd. Trails wind past other large enclosures stocked with bison, white-tailed deer, wild turkeys, and other native wildlife. And of course, you’ll see wildflowers everywhere in spring and summer. Feel the need for a little Oktoberfest? 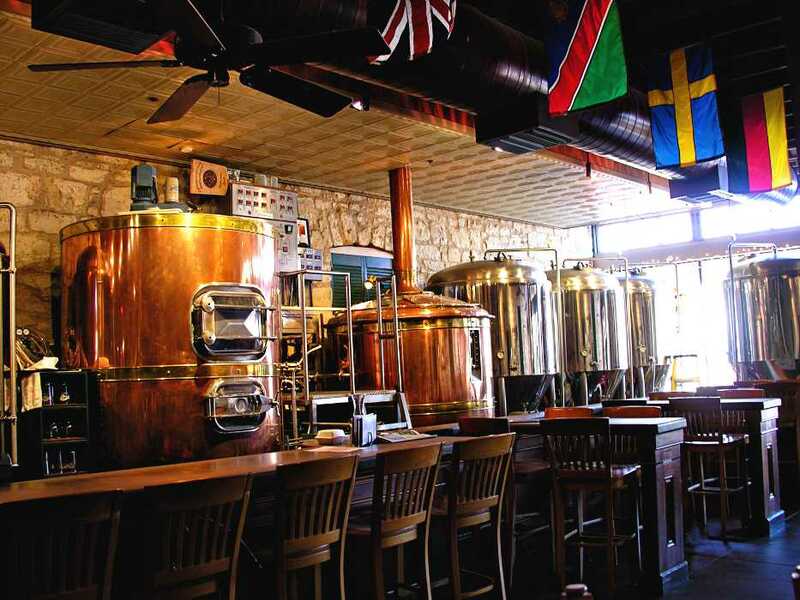 You can have your microbrews on tap and your Schnitzel alongside at the Fredericksburg Brewing Company. German favorites along with casual sandwiches and wraps offer something for everyone, Mon–Thu 11:30 a.m.–9 p.m., Fri–Sat 11 a.m.–10 p.m., Sun 11:30 a.m.–7 p.m.
Next time you need to give your airplane a little exercise, head over to Fredericksburg TX, whether you just want a special fly-in meal or a weekend getaway. Especially in spring, with wildflowers in bloom, this little German town has a lot of beauty to offer, along with history and recreation.